The $11.99 YouTube Premium gets you everything inside YouTube Music plus access to the YouTube Originals library of video content. Google promises it’ll expand the Originals selection with “more, bigger original series and movies,” including comedies, dramas, reality series, and action adventure shows from the UK, Germany, France, Mexico, and other countries. 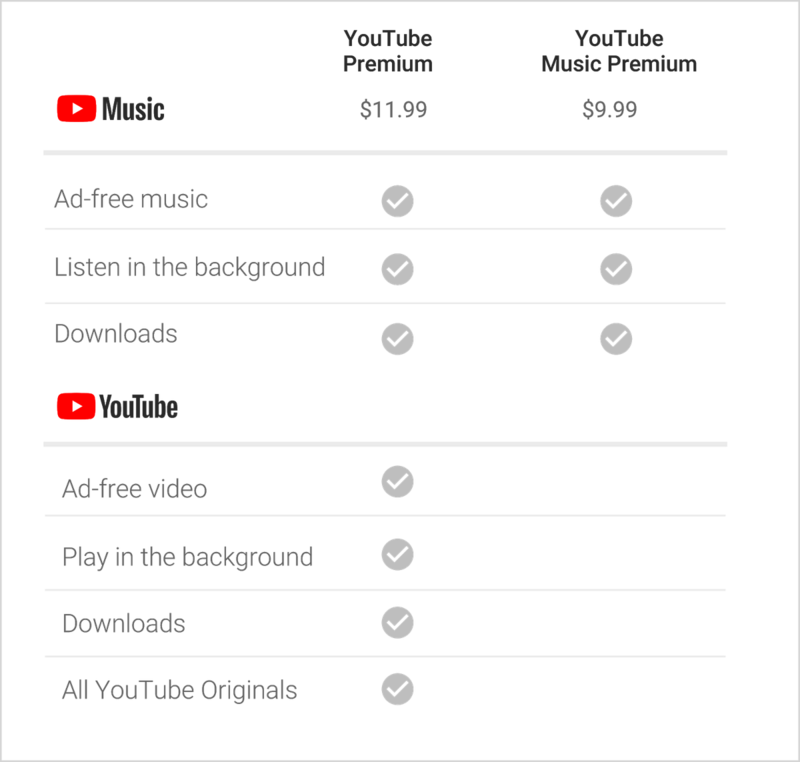 With YouTube Premium, you’ll be free of ads, able to play videos in the background, or download them for offline playback. YouTube Premium is the new name for YouTube Red, and Google is doing something nice for existing Red subscribers by not asking them to pay the new higher price. In countries where Red is already available, you can secure the $9.99 price by signing up now, before YouTube Premium has rolled out. That includes the United States, Australia, New Zealand, Mexico, and South Korea, all of which are getting YouTube Premium “soon.” With the new service’s rollout, the following new countries will be added: Austria, Canada, Denmark, Finland, France, Germany, Ireland, Italy, Norway, Russia, Spain, Sweden, Switzerland, and the United Kingdom. Google indicates that additional expansion will come later this year and beyond.